Through wire constuction available in 5 color combinationsas shown below. 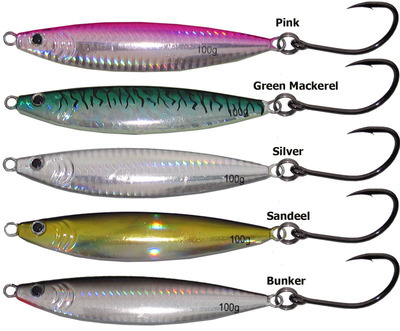 These lures are designed to catch school tuna and striped bass. Click the button below to add the Carlson Offshore 3.5oz Casting Jig for Striped Bass & Tuna to your wish list.